For the past week or so I’ve been diving headfirst into the Core Rulebook for Fantasy Flight Games’ tabletop roleplaying game, Star Wars – Age of Rebellion. Tabletop roleplaying games, or RPGs as they are known, have been a hobby of mine for over 30 years now. Unlike most gamers in the 80s, I did not get into RPGs through Dungeons & Dragons. My first entry into gaming was TSR’s Top Secret spy game, later followed by Traveller, a sci-fi adventure game. Before I get too far let me give a brief explanation of tabletop roleplaying. It’s a form of cooperative play where one player, the gamemaster creates a story complete with characters and locations which they players will interact with. The gamemaster tells this story to the players, who are the main characters in this improvised form of play. Players try to perform certain actions which require them to usually roll dice to determine success or failure. The idea is to tell a story as a group, and have a whole lot of fun in the meantime. For years I played with a group of friends in high school, always wishing that I could play in the Star Wars universe. 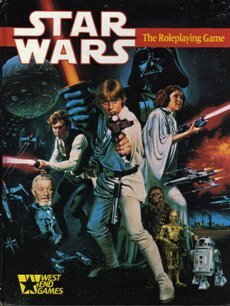 We eventually used Traveller to create our own Star Wars game, but I hoped that some day, some one would release a REAL Star Wars RPG. 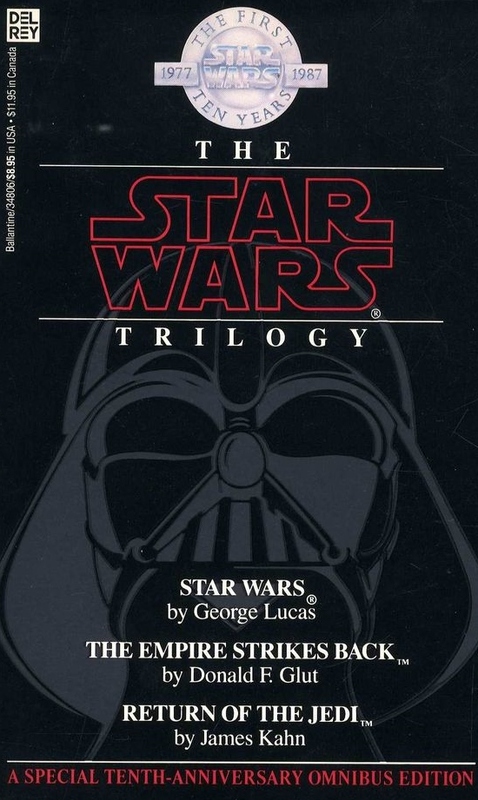 One day in early 1987 I was walking through Thomas Mall on my weekly run to B. Dalton books to check out the newest books, and to pick up a copy of the Star Wars Trilogy 10th Anniversary Omnibus that collected the three novelizations of the Star Wars trilogy. I walked back to the Science Fiction section of the store and found it. It was emblazoned with a pretty cool 10th Anniversary logo, and I quickly flipped through the pages, and suddenly stopped…. I was stunned. There in the back of the book was an advertisement for a new roleplaying game… Star Wars. It was time to play in that far away galaxy. The Star Wars Roleplaying Game by West End Games, was a great little game that had a very simple mechanic. Your character had skills or attributes with a numeric value (the higher the better). If you tried to do something, like shoot a Stormtrooper, or fly a starfighter you rolled as many six sided dice as was in your skill or ability, whichever applied. The gamemaster set a difficulty to your task, and if your roll came up higher than the difficulty you succeeded. The rules were so streamlined it made for a quick game (unlike a lot of other RPGs at the time). 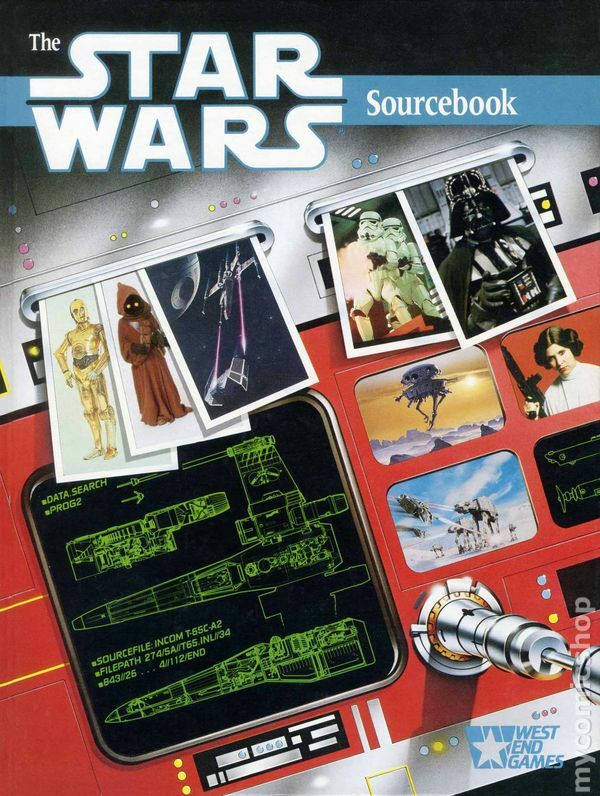 More importantly though, another book was released as part of the game line, The Star Wars Sourcebook, written by Bill Slavicsek. The Sourcebook was effectively the book which launched what was later to be called the Star Wars Expanded Universe (more about that in a later post). It was filled with diagrams, maps, and facts that had yet to be revealed to fans. That Hammerhead action figure I had, well he wasn’t a Hammerhead, he was an Ithorian. You wanted a map of the Rebel base on Hoth? The Sourcebook had it. Slavicsek’s book filled in so many gaps and expanded the universe in new and creative ways. For some 10 plus years West End Games released new sourcebooks, adventures, and boxed sets which helped create a rich universe for players to adventure in. I played the game for years with friends, and had many epic adventures in my favorite fictional galaxy. My own player character, Gallandro Tarsus, became an important part of the Rebel Alliance, and even rivaled the main heroes from the movies. Eventually West End closed up shop, and the rights were bought by Wizards of the Coast (WOTC), the new owners of Dungeons and Dragons. I tried to play the new editions, but it was just too rules heavy for me. I’m more interested in characters, and telling a story, not whether moving through one area of the map triggered an “attack of opportunity” for the bad guys. However, recently Fantasy Flight Games acquired the rights to Star Wars and published their first Star Wars RPG, Edge of the Empire. 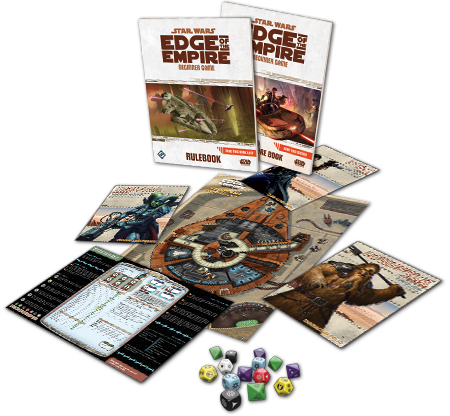 Edge focuses on the scum and villainy of the galaxy as players assume the roles of bounty hunters, hot shot pilots, explorers, and the like. Like WEG’s Star Wars, Fantasy Flight has gone with more of a rules light approach centered on a simple mechanic not unlike the old D6 system. 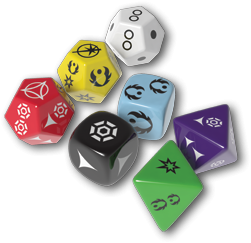 However in this case the new Star Wars game uses a set of special dice to roll for outcome. Unlike other systems though it is not a simple pass or fail mechanic. The dice can add complications or advantages so in theory you could fail to hit a Stormtrooper, but gain some bonus like the Stormtrooper tripping and being at a disadvantage during his next attack. Maybe you successfully piloted through that asteroid field but beca use of disadvantage you put a little too much strain on the ship. It’s a great system that promotes cooperative play between players and gamemaster. 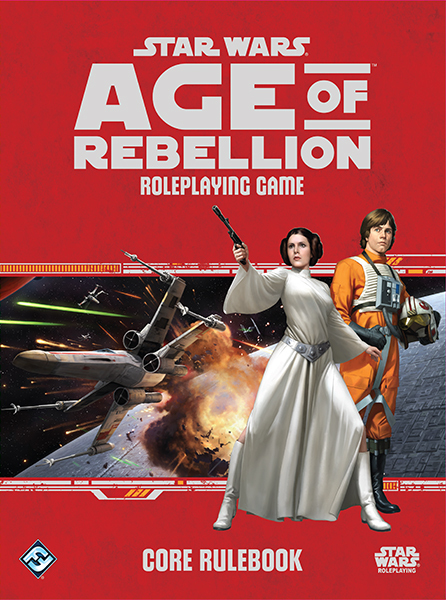 Age of Rebellion is the Fantasy Flight’s new RPG which is completely compatible with Edge of the Empire, but focus on the battle between Rebels and Empire. I’ve been playing Fantasy Flight’s game for a couple of years now blasting my way across the universe, thumbing my nose at the oppression of the Empire. I highly recommend the game for old time gamers like myself, or newbies to the hobby. You can even find a great little inexpensive introductory game to check out and see if tabletop gaming is for you. Unlike video games, tabletop gaming promotes a fun, interactive, face to face experience only limited by the players imagination. I’ll post a review of some of my favorite Star Wars RPG products at a later date.